FFA - Nissan is a top advertiser at Huffington Post who published numerous erroneous Islamophobia propaganda articles. This article has been updated at this FFA article. Huffington Post propaganda mocks, belittles and blames people who are concerned about radical Islam in a manner that impairs the willingness of some people to speak up for public safety. Their propaganda erroneously blames alleged Islamophobia for the worldwide conflict between Muslims and infidels. Their propaganda is offensive to Christians and Jews. This email provides two Huffington Post articles as examples of their propaganda. FIRST EXAMPLE: The Huffington Post published an article on October 6, 2016 that is headlined: Let’s Talk About All That Anti-Muslim Garbage In Your Newsfeeds. The Columbia Journalism Review documented the “widespread” posting of such anti-Muslim memes over the last year, as well as the use of hashtags like #banislam, #killmuslims, #attackamosque, #bansharia and #islamisterror. Facebook and Twitter have become platforms where people who “actively believe in the extermination of Muslims... are not afraid to state their views in public,” according to the CJR report published last month. And it’s not just your crazy ― but lovable ― uncle sharing these memes. It’s your school board chairwoman, your town council member, your postal worker and your state’s agricultural commissioner. These memes would have you believe that the Quran compels Muslims to violence, that Muslims want to take over the U.S. and implement (gasp!) Sharia, that Islam hates women, and that all Arabs are Muslim and all Muslims are Arab. In short, these posts are garbage. However, listed below are just a few passages from the Quran that clearly compel Muslims to violence. Quran 9:30 "The Jews and Christians are perverts, fight them." Quran 22:19 “Punish the unbelievers with garments of fire, hooked iron rods, boiling water, melt their skin and bellies. Ignoring the fact that the Quran, including the above passages, are taught in mosques across America does not reduce the impact on the minds of their followers. WHAT violence do Christians appear to be committing against Muslims suggested by the Huffington Post article? That would be Islamophobia which is the derogatory term that is used to harshly label and intimidate people out of their rational, fact based concern that Islamists use violence and Sharia law to advance their political agenda. Yet, the Huffington Post article has the audacity to blame Islamophobic Christians for the worldwide conflict between Muslims and Infidels. Christianity is incompatible with Islam. The Huffington Post article perverts bible scriptures and hides what the Qur’an states about Christians and Jews. Nissan has frequently advertised at Huffingtonpost.com. Florida Family Association has prepared an email for you to send to encourage Nissan to stop supporting the Huffington Post’s biased religious propaganda with their advertising dollars. 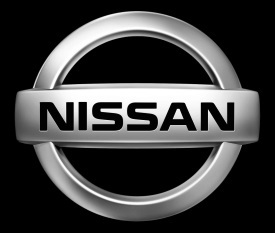 President and Chief Executive Officer Nissan Motor Co., Ltd.